want yer own ghost box?? Lisa Williams in Australia and New Zealand in 2011.. This Forum is for everyone curious about the Paranormal. It is a Forum with many people, from many different backgrounds, who do many different things.. Tarot Readers, Mediums, Rune Readers, Psychics, Ghost Hunters and those who just experience weird unexplainable things..Novice's and Professional's alike. Place your request in the readings section of the Forum. I am sure many would love to read for you. The Haunted Library and the Symbolism Threads are a work in progress. If you would like to help out Please start posting away. Psychic Whispers Archive of Haunted Places and Images from all over the world. 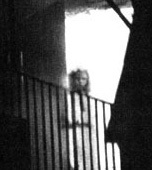 The image used for Haunted archives is believed to be Jane Churm , she is known to have burned down this hall previously in 1677 by dropping a burning candle. the Building is Wem Town Hall in Shropshire, England.This photo was taken in 1995 when the town hall yet again was burning down. Please bare with us , These archives are brand new and we will be slowly adding places, as the weeks and months go by, as time and life permits..It is a massive task to do, it may take some time. All Members are welcome to Advertise. Post up in here if you have got any suggestions to improve our forum or you need some help with the forum? New Members introduce yourself in here. and post up any topic that has no other place to go. Whether the sybolism is just how you have experienced it or it is a well Known Meaning..doesnt matter Help Psychic Whispers and post it up. (Secret Teachings of all ages) The Lost Symbol, Dan Brown. This is also a NEW forum so please bare with us as we add to this..
Tarot, Runes, Pendulum, Oracles, Crystals and anything else you use as a tool for seeking answers. Found something you want to share and have no idea where to put it.. Here is the place. This area is for anything you are Passionate about and want to share.. Its about World events, Its about Policies that go against our spirituality. It is about injustice against humanity, Animals and our Planet. It is our opinion about what is going on around us! Chat extending from our Online circles. reminders of Dates and times. Feedback and Pictures submitted by those who want a reading. or picture of somewhere haunted you would like us to read.